If the unbearable summer heat and the undeniable expense of last month’s property taxes has gotten you hot and bothered; take heart and explore these unique Winnebago County attractions that are Cold & Cheap. Offering numerous ways to beat the heat, the Rockford Park District (RPD) has both outdoor and indoor activities that are cold and cheap. One of the RPD’s biggest summer attractions is Magic Waters Waterpark, which is open daily throughout the summer between 10 a.m.-6 p.m. A one day pass to Magic Waters is $20 unless you hit the waterpark on a Twelve Buck Tuesday. Reduced admission and extended hours at Magic Waters are also offered on Wet Wednesdays where $10 will get you in after 3 p.m. until the park closes at 8 p.m. The Slide and Dine special is also offered every day at Magic Waters after 3 p.m. where $15 pays your admission and gets you one of two dinner specials at the park. For more information and or to purchase tickets, visit www.magicwaterswaterpark.com. The RPD free community spray pads are located around town to help residents cool off this summer. All of the spray pads offer push button operation between 1-8 p.m. regardless of the outdoor temperature. When the heat index is at least 95 degrees, the RPD will automatically activate the spray pads. For a list of spray pad locations, visit www.rockfordparkdistrict.org/spray-pads or call 815-987-8800. 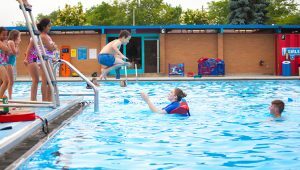 The RPD’s Alpine Pool and the Harkins Aquatic Center are both open daily this summer while Sand Park Pool remains closed for the 2018 season. Alpine Pool has daily open swim times between 1-6 p.m. with a general admission of $5 for those over the age of three. Mondays at Alpine Pool are $3 bargain days. Check out www.rockfordparkdistrict.org/alpinepool for more information. The Harkins Aquatic Center offers free admission and is open daily between noon-5 p.m. with free swimming lessons daily from 2-2:45 p.m. There is also a free summer food program at Harkins for youth age 18 and under. For further information visit www.rockfordparkdistrict.org/harkins-aquatic-center. For those who prefer land over water, the RPD offers a variety of open gym options for a drop in rate of $5 per session, Monday-Friday at the UW Madison Sports Factory. Open gym programs are also offered at Washington Park Community Center and Lewis Lemon Community Center. To learn more visit www.rockfordparkdistrict.org and search open gym. Since schedules are subject to change at RPD attractions, it is always a good idea to call the facility you wish to visit prior to planning your outing. The rates and fees quoted here are resident rates and the main information number for the RPD is 815-987-8800. 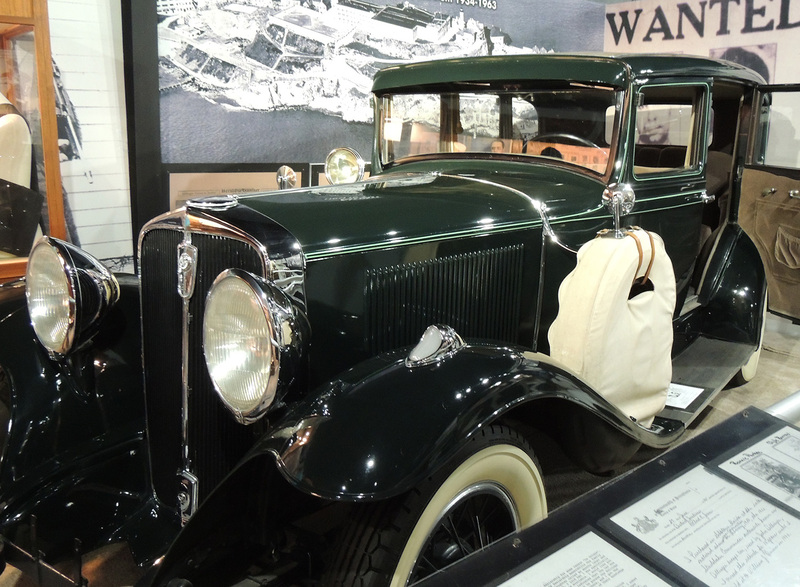 Opened in May of 2001, Historic Auto Attractions is a display of vehicles belonging to is businessman Wayne Lensing. Maggie Mitchell, who is in charge of merchandising, sales and admission at the museum, explains how HAA came to be. The collector cars at Historic Auto Attractions are divided into several galleries including, Turn of the Century, Gangsterland, Famous Cars and Stars, Kennedy “Day in Dallas” Legends of Racing and World of Speed. “I think one of the most unique things we have is our collection of presidential limousines. This is not something you would come across every day. We also have some world leader cars across from the presidential limos,” Mitchell said. The Kennedy “Day in Dallas” gallery features a replica of the 1961 Lincoln Continental Convertible (code named X100 by the Secret Service) that President John F. Kennedy was riding in when he was assassinated on Nov. 22, 1963. 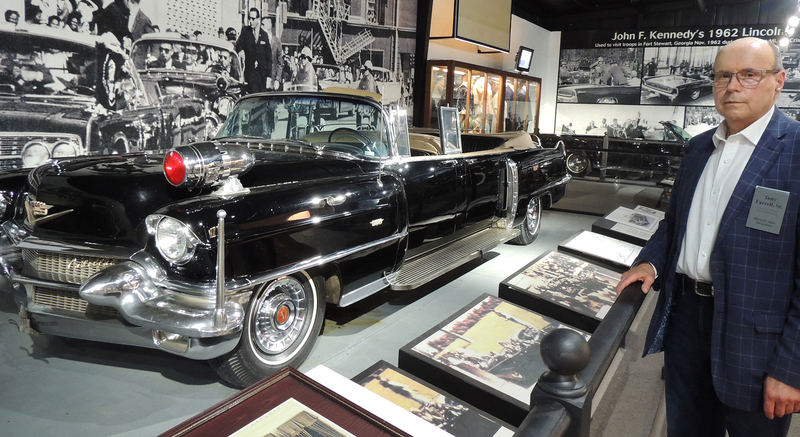 The car on exhibit behind the Lincoln replica is a 1956 Cadillac Secret Service Parade car. “This is the actual Secret Service car that was following President Kennedy’s car on that fateful day in Dallas. There is only one of these cars in the world and we have it here,” said Tony Farrell, Sr. senior executive director and chief historian of Historic Auto Auctions. Farrell is a walking wealth of information, history and little known facts about the vehicles at HAA. He is at the museum most days and is more than happy to answer questions about a display or tell an interesting anecdote about one of the museum’s pieces. Another authentic piece of history housed at Historic Auto Attractions is a 1962 cream colored Ford ambulance that carried a wounded Lee Harvey Oswald to Parkland Hospital in Dallas after he was shot by Jack Ruby. Rounding out the exhibits at HAA are celebrity owned vehicles, the Illinois Stock Car Hall of Fame, a NASA space exhibit and famous TV show and movie automobiles. “The TV and movie vehicles really highlight the uniqueness of Historic Auto Attractions. We have the Batmobile used in the TV show ‘Batman’, the iconic red truck from ‘Sanford & Son’ and a squad car from the ‘Andy Griffith Show’. From the movies we have, a DeLorean used in ‘Back to the Future’, the Batmobile from ‘Batman Returns’ and the Wagonqueen Family Truckster from ‘National Lampoon’s Family Vacation’,” Mitchell said. “This really displays how quirky the museum is. Something as serious as the cars used by presidents is in the gallery next to the Batmobile and the Ectomobile from ‘Ghostbusters’. This is a big draw for people who aren’t into historic cars. Fully air-conditioned, Historic Auto Attractions definitely qualifies as cold. As for cheap, Mitchell says the museum regularly runs specials, offers a season pass and gives a discount for veterans. 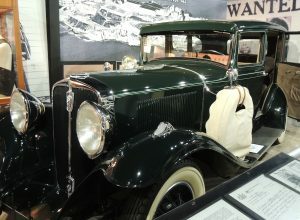 For more information, pricing and hours of operation, visit www.historicautoattractions.com or check them out on Facebook. If you’ve never sampled fenn-uusto, Sage Derby or English Stilton a trip to Woodman’s Food Market in Rockford should be on your summer bucket list. These unique cheeses are just a small part of Woodman’s extensive dairy department. Housed in over 60 feet of refrigerated display cases, there are approximately 200 different varieties of cheese in stock at the store. 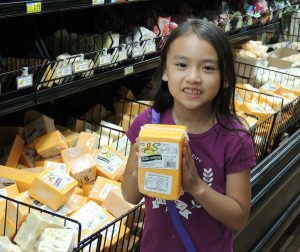 According to Woodman’s dairy manager, John Woloszyn, shoppers are usually able to locate hard to find cheeses at the store. Even common cheeses like Swiss and cheddar are stocked in many different variations at Woodman’s. “We have all the typical Italian cheeses too, over a dozen different types in several formats whether block, grated, shaved or fresh,” Woloszyn said. He added that managing the cheese offerings at Woodman’s is an ongoing process that involves customer support. “I am approached by different cheese companies who would like their products sold at Woodman’s, but we have to consider the demand for a certain kind of cheese; and that’s where customers will give us input on varieties they would like to see us stock,” Woloszyn said. He estimates that between 80-90 percent of Woodman’s cheese comes from Wisconsin. With its super chill climate, wide assortment and reasonable prices, cheese shopping at Woodman’s is certainly cold and cheap. A selection of Woodman’s cheese paired with some wine, crackers and fruit comprise the perfect light supper on a hot summer evening. 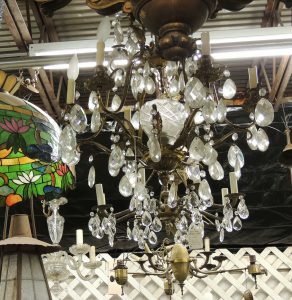 Tucked away in the back lower level of 5411 East State Street in Rockford is a surprising and satisfying discovery for antique lovers and bargain shoppers alike. The East State Street Antique Mall has been has been around for 35 years, and owned by Terri Anderson for the last eight years. According to Anderson, the mall is divided into booths that antique vendors rent from her. “We have everything from soup to nuts,” she said. “I have about 125 vendors, currently and countless items ranging from antique furniture, books, music, jewelry, tools, signs, clothing, military finds, light fixtures and vintage kitchen items. We also have quite a few old pieces that feature local advertising and promotional material.” To be considered antique, Anderson says the item should be pre-1979. A section up front is reserved for collectible items dating from 1979 to the present. While these pieces aren’t necessarily antiques, Anderson says they have a kitschy, vintage appeal to buyers in their 40s. Some items in the post-1979 area include metal lunch boxes, kids’ thermoses and small toys from the 60s and 70s. A section devoted to Japanese furniture, décor and tea sets can also be found in the front part of the mall. Some of the oldest and most unique items found at the 20,000 square foot East State Street Antique Mall include a portable newsstand from England dating back to 1848 and a free standing cabinet radio from the 1900s that boasts two ornately carved gargoyles. “A lot of people are wanting small antique furniture or ‘parts cabinets’ to refurbish, repurpose and use as accent pieces in their homes,” Anderson said. The East State Street Antique Mall fits the criteria of cold and cheap with its air conditioned basement location, free admission and ongoing mall wide sales. Upcoming special events at the mall include an “Antique & Vintage Cruise-In” on Sunday, July 15 from 11 a.m.-2 p.m. and a Flea Market event on Sept. 2-3. 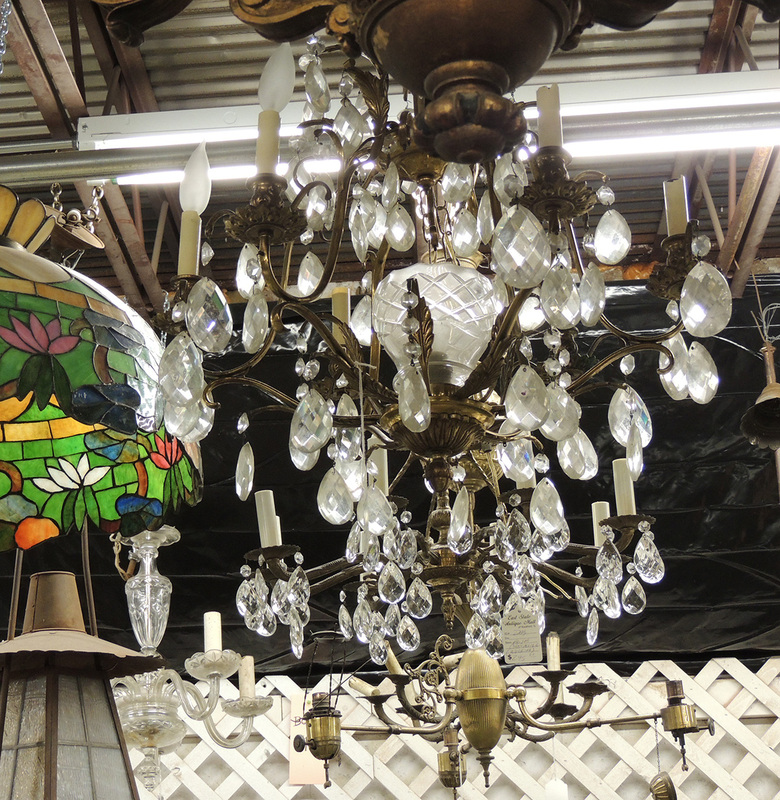 For more information visit www.eaststatestreetantiquemall.com or call 815-229-4004. Whether you prefer cheese, historic cars, antiques or recreational activities, there are many options for summer fun in Winnebago County that are both cold and cheap.